The spirit is high and the scenery is even better. From the moment you arrive in the Lake District and set your sights on the majestic valleys, glimmering lakes and mountainous skyline – you’ll know why the UNESCO World Heritage site is an unmissable tourist destination. The panoramic beauty of this Cumbrian corner has captured the imaginations of millions of visitors. Its stunning surroundings, however, are not all that make the Lake District an ideal winter getaway. Whether you’re a couple, a family or a group of friends – this is a place that can simultaneously offer adventure, heart-warming comfort and romantic scenes throughout the year. The Lake District during winter can provide everything from a fell walker’s paradise to a foodie heaven, where outstanding restaurants and hotels offer the best of Cumbrian hospitality. 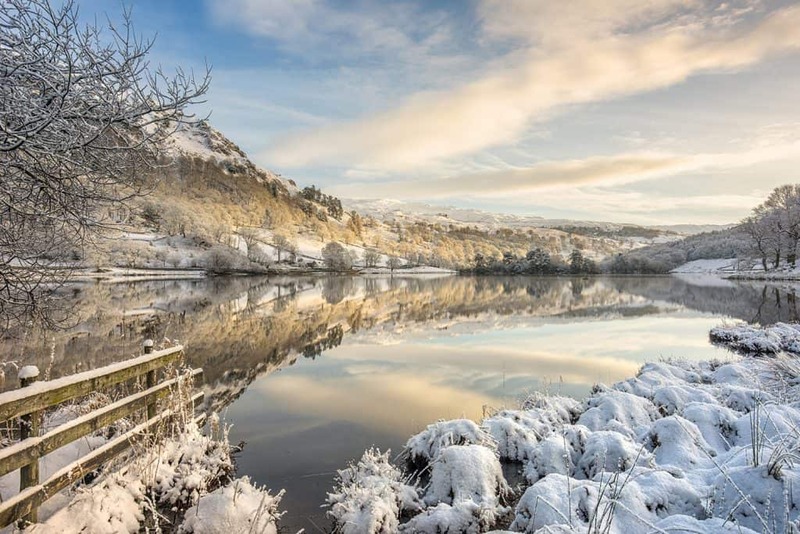 You might wish to hike up one of Cumbria’s peaks; visit the England’s premier distillery; do your Christmas shopping in a quaint Gem Town; and watch the sun set behind the country’s fourth largest lake – all before retreating to the warmth of a luxury hotel and indulging in AA Rosette food. The Lake District is a true gem in all seasons. But we must admit, the picturesque region does have added charm about it during the winter months despite the colder climate. December in the Lake District brings some wonderful, must-see changes to the landscape. Caps of snowfall on the craggy fells; glistening dew forms on the native woodland plants; morning mist creates magical temperature inversions; rivers flow under historic stone bridges; and charming Christmas markets light up the streets. At the Trout, we love getting into the festive spirit. The hotel is decorated from top to bottom in the most elegant of decorations and the venue is aglow with a warm Cumbrian ambience. We remember back to the time that Bing Crosby came to visit us as his velvety voice is heard throughout the restaurant as he sings of a White Christmas and Silent Night. There is truly no backdrop more dramatic or nostalgic for a winter break in the UK. So as you gear up for another hectic Christmas, spending time with loved ones and watching Love Actually countless times – a holiday during December in the Lake District could be just what’s needed to relax and rejuvenate. It will certainly add a sprinkling of magic to your festive season. Once all the Christmas shopping is done and you’ve finally found the perfect gift for that special someone, let all the augmented stress just drift away as you take in the tranquil atmosphere of the Lake District. The Trout Hotel’s renowned Afternoon Tea takes on a genius festive twist during the Christmas season. To get you in the festive spirit, we invite you to sample a tower of holiday-themed treats all stacked up nicely like a Christmas tree. The tower consists of a mini prawn cocktail, egg and cress sandwich, turkey and trimmings brioche roll, smoked salmon and dill quiche and a ham and Westmorland chutney sandwich. Twinkling at the top of the tower will be a home made mince pie, ginger biscuit, cranberry scone with jam and clotted cream, chocolate Yule log, Victoria sponge cake, sherry berry trifle, Christmas cake and a macaroon, all served with a cup of tea or coffee. All this for £20.00 per person? Christmas wouldn’t be Christmas without it. Fancy adding a bit of sophistication to the occasion? Add a glass of Laurent Perrier Brut for £28.00 or Laurent Perrier Rose for £30.00. 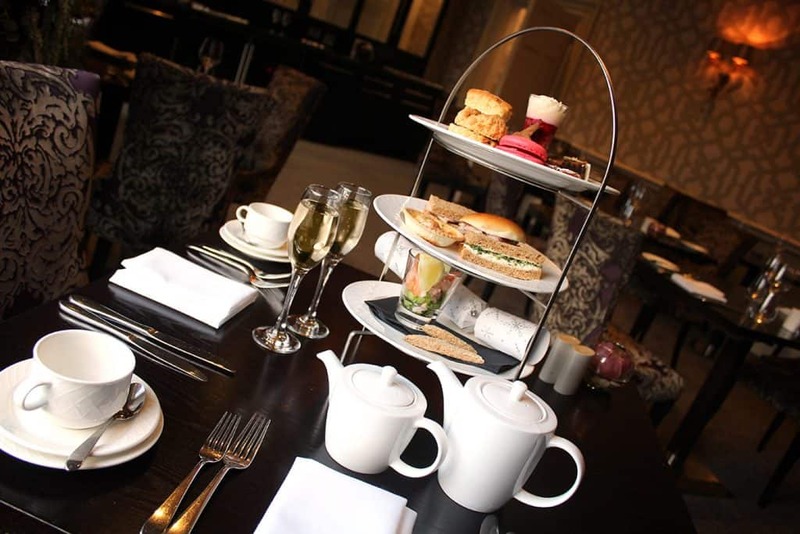 Or keep it local and book a perfect serve Lakes Gin & Tonic Afternoon Tea for just £28.00. For Christmas 2018, for everyone who books a Lakes Gin & Tonic Afternoon Tea you will receive a complimentary 20cl bottle of either The Lakes Sloe Gin, Damson Gin, Elderflower Gin, Espresso Vodka or Salted Caramel Vodka as a special Christmas gift from The Trout Hotel to you. The choice is yours! All our Afternoon Teas are served from 2pm – 5pm and you choose whether to dine in the stylish grandeur of the Derwent restaurant or leisurely relax under the retractable roof of The Terrace Bar. 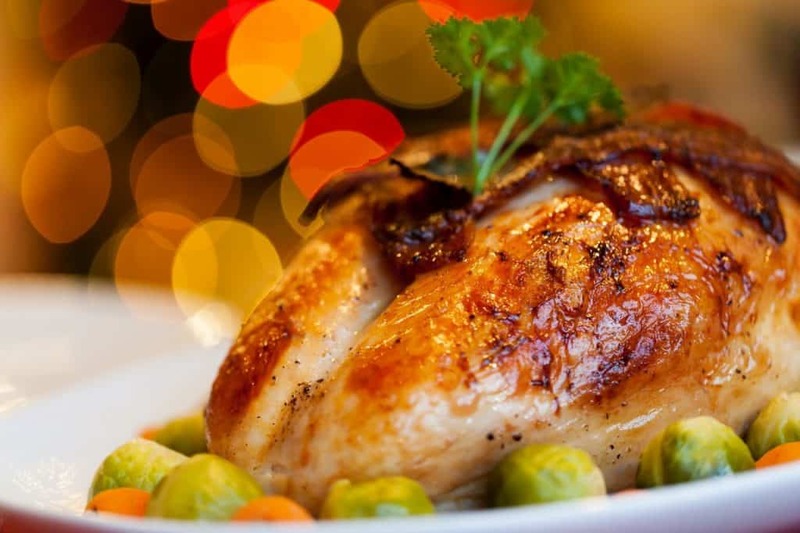 Christmas is all about the flavours and the smells, and you can’t deny that nothing quite gets you in the festive spirit than the pungent smell of cinnamon in the air or the traditional festive flavours of a fresh mince pie or a succulent Turkey smothered in gravy spreading through your tastebuds. That’s why our talented chefs at The Trout Hotel will be delicately preparing their own festive menus to truly unwrap your Christmas spirit. Our festive menus will be inspired by traditional festive staples, with the chefs putting their own spins on some much-loved classics as well as some more unexpected tasty treats for those of you who fancy something a little different this year. Dine with us in either our award winning Derwent Restaurant or our chic, Terrace Bistro & Bar and indulge in all the tasty treats our festive themed menus have to offer. Equally, if you’re planning a staff Christmas party or large family-get-together, the stylish Wordsworth Room is available for private catering events. As the Christmas season approaches, we wanted to help you get in the mood for the festive season ahead by tempting you with classic holiday dishes such as prawn cocktail, roast turkey breast, roast ham, Christmas pudding plus many more tempting treats. To guarantee your place please book online or call the hotel directly. A short 10 minute drive from Cockermouth, Workington Christmas Festival promises to be a great event for the whole family. The town will come alive with festive activities including a market selling local crafts and handmade gifts, tempting food stalls, face painting, an unmissable fun fair, captivating street entertainment and a musical programme of jazz, pop and rock bands to name a few. 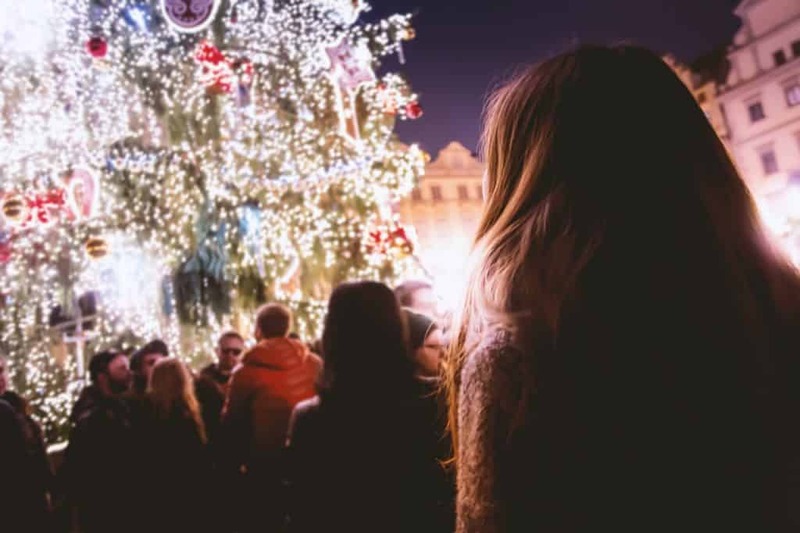 To bring the day to an end, the Mayor of Workington will switch on the Christmas lights at 5pm and the town will be illuminated with festive joy. Following the festivities you can return to the warmth of the Trout Hotel and relax with a nice mulled wine to help you sit back and relax. Don’t want the night to end after the festivities of the Workington Christmas Festival? 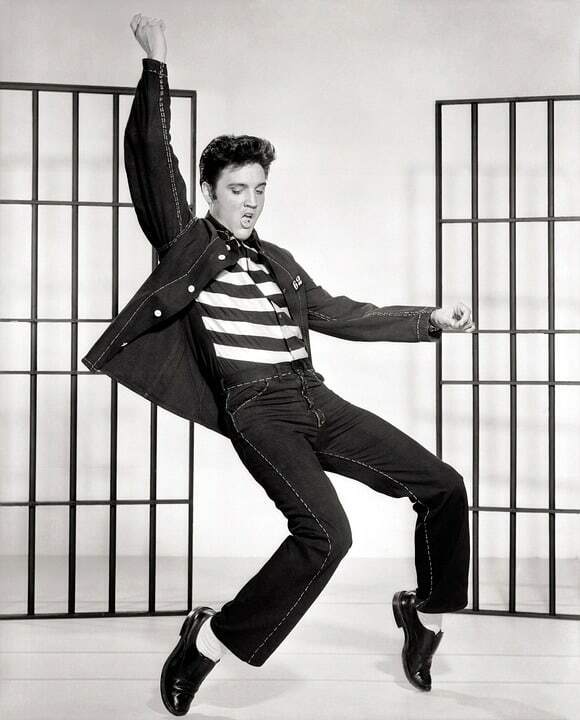 Hang about in town and then you can head over to the local Carnegie Theatre where you can experience some of the most-loved hits of the King of Rock & Roll. Be taken on a musical journey by Rob Kingsley, winner of The National Tribute Music Awards “Official Elvis Show” and “No.1 Male Tribute”, as he transforms into The King for the night. Kingsley is internationally renowned as the best Elvis Presley tribute concert touring the world today and he’s appearing in a theatre near you! You can’t help but fall in love with his performance. It’s now or never… book your tickets while stocks last! Click here. It wouldn’t be Christmas without a splendid trip to the theatre. Whether you’re bringing the whole family along or planning a romantic date-night with a loved one, there’s something truly magical about visiting the theatre over the Christmas season – especially this one with its opulent backdrop! This December at Keswick’s Theatre by the Lake, be captivated by a magnificent rendition of the renowned fairytale classic: ‘Beauty and the Beast’. Drift away into a world of fantasy, romance, fear and adventure as the talented crew convincingly bring this beloved classic to life right in front of your eyes. Whether you’re an excited beauty or feeling rather beastly at the thought of going, we’re sure that everyone will love the production and it’ll make for a magical evening. Give in to your emotions and let this cherished production transform your December into an unforgettable one. Book tickets here. If you’re looking for a place where you could do all of your Christmas shopping in one hit, Taste Cumbria’s Christmas Market is a must – not to mention all the tasty scran that’s on offer! Cockermouth Main Street will be packed with rows of marquees selling food, drink and local crafts to make the perfect Christmas gifts. There will also be a beer and fizz tent with live music from local musicians adding a festive street party feel. A charming feature about the festival is that many of Cockermouth’s local businesses – including the Trout Hotel – are included in the event, with special offers and competitions galore. 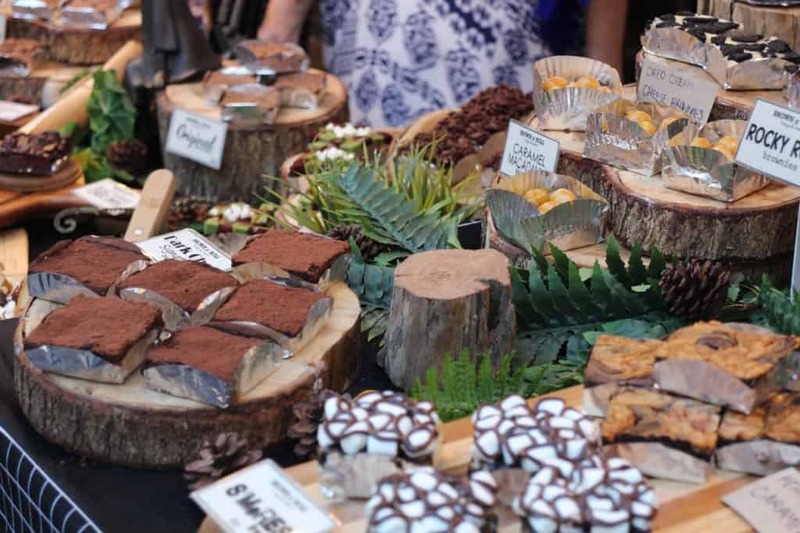 The foodie festival will also host a fairground to keep children of all ages entertained as well as Christmas-themed arts and crafts that will be on offer. Who said you had to leave Cumbria to experience all the tastes and smells of a Christmas market?! Soak up the festive atmosphere right on our doorstep. A Christmas classic, The Nutcracker is the perfect family treat during December in the Lake District. 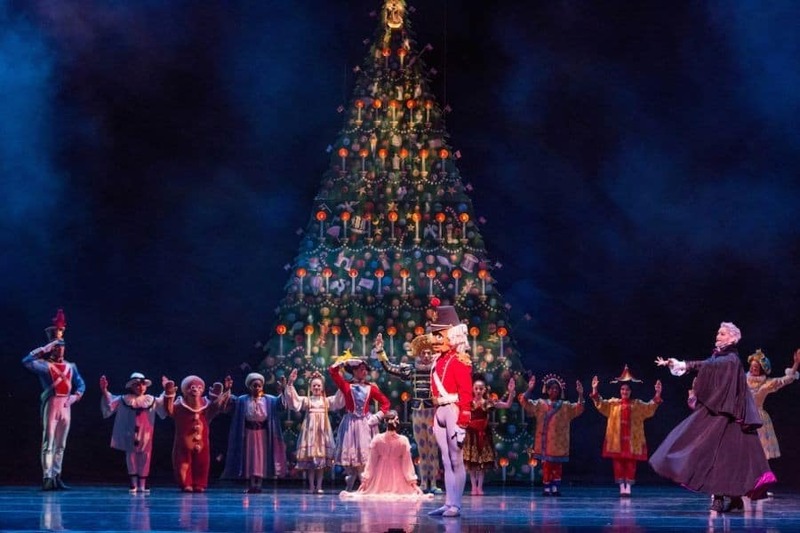 Tchaikovsky’s wonderful ballet tells the story of a Christmas tree that magically grows, a battle between toy soldiers, an army of mice and the famous role of the Sugar Plum Fairy. Matched with exquisite designs and world-famous melodies, this production of The Nutcracker has enthralled audiences for over 30 years. Book your tickets now here. Want to treat the kids to a real, magical treat this December? Don’t miss the unforgettable Santa Express at the Ravenglass and Eskdale Railway! During select dates throughout December, the Ravenglass and Eskdale Railway welcomes passengers both young and old all aboard for a magical train journey through the Cumbrian countryside… but be sure to keep your eyes peeled for a very special guest! 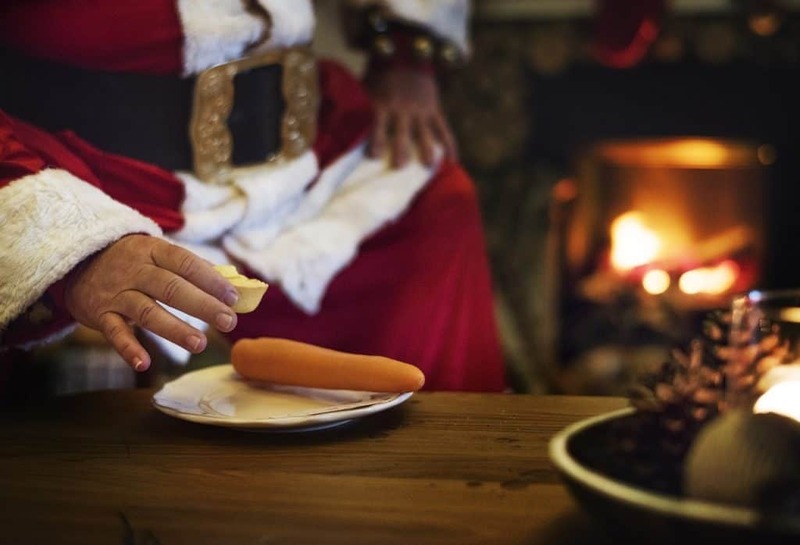 Be sure to stop off at Dalegarth where you and the family can meet Santa himself in his grotto where he will be distributing gifts to all the girls and boys who made the nice list – so be sure to be on your best behaviour! Tickets cost £21.50 for adults and children up to age 11 an £13.95 for children aged 12-15. 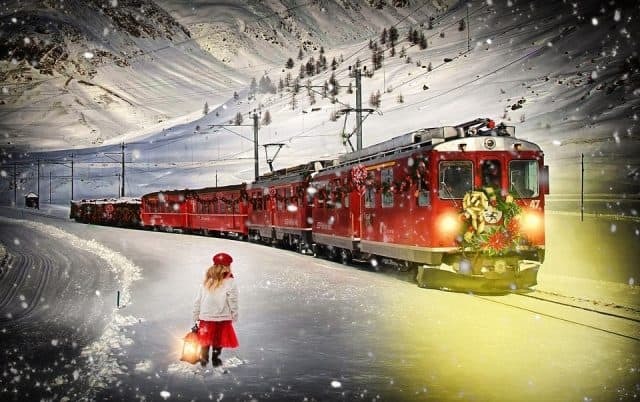 Train times are 10:00am, 12:50pm or 3:40pm each day that the Santa Express is running. Christmas lunches are also available to book where you will have to contact the Railway directly. For more details and to book your tickets click here. The perfect Christmas treat for the kids! What better way to get the family excited for Christmas than having breakfast with old St. Nick himself! Santa has taken time out of his very busy Christmas schedule to squeeze in a special trip to the Trout Hotel to visit all the lovely children of Cumbria. Enjoy a truly magical morning in our Terrace Bistro where you can enjoy a delicious made-to-order breakfast of your choice, followed by a special visit from our exclusive guest! All children will also receive a wonderful Christmas gift to take home and remember the occasion! The price of a hearty breakfast is £15.00 for adults and £10.00 for children under 10 years. Reservations are kindly requested and can be made by contacting the hotel directly. 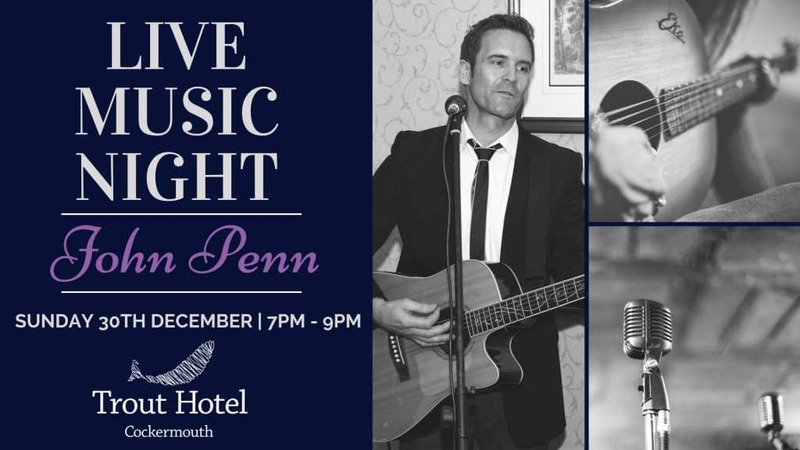 Come on down to the laid back Terrace Bistro and Bar to enjoy a wonderful night of live music in Cockermouth featuring the talents of local singer, John Penn. This is the final live music night of the year so why not end 2018 with a great night out? While you dine or sip on a refreshing cocktail, John will be here to entertain with a catalogue of well-known songs spanning an array of genres and decades. Our ‘Live Music Night’ acoustic sets are sure to include something for everyone and the relaxed atmosphere is just what you need to unwind after a long week and prepare for the one ahead. The event is held between 7pm – 9pm in the Terrace Bistro & Bar. Reservations are recommended. Here at The Trout, we like to think of New Year as a grand affair to be celebrated with splendour and flair. You are invited to bid farewell to 2018 in the elegant Derwent Restaurant surrounded by glamorous decorations and a five course meal. We also offer bespoke New Year’s Getaways where you can bring in the new year your way. Find out more here. Join us in the Derwent Restaurant from 7pm onwards where you will enjoy an exquisite five-course dinner, prepared with only the finest local cuisine, by The Trout Hotels award winning team of chefs. 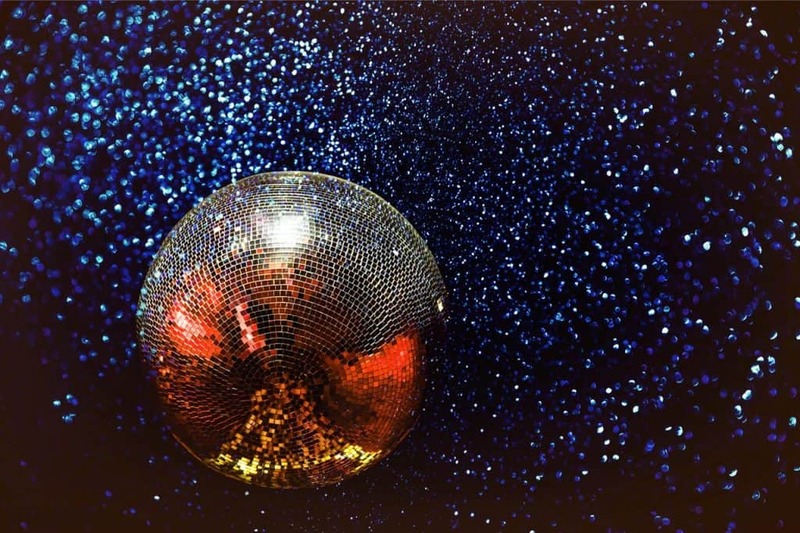 With a party, resident DJ, streamers, poppers, balloons and champagne on hand to help you ring in the New Year, bring in 2019 in style with an exclusive Trout Hotel party! To book, please call the hotel directly. Enter your name and e-mail and we’ll send you a copy directly to your inbox. 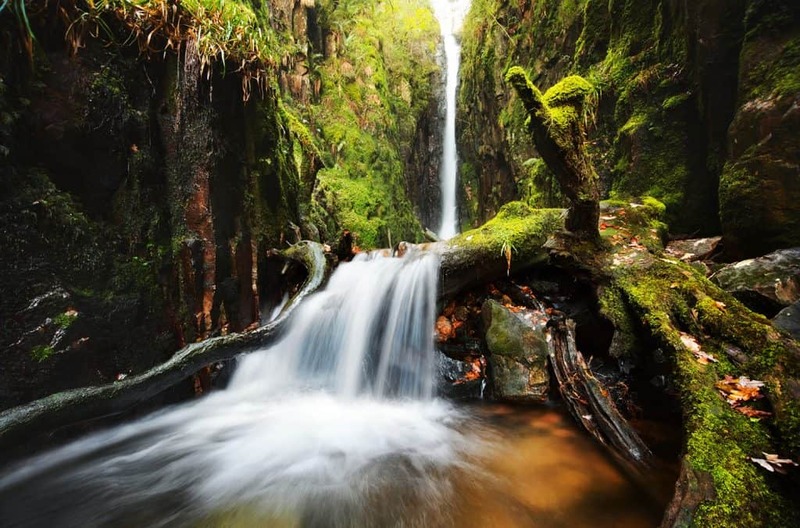 Scale Force is thought to be the highest waterfall in the Lake District and December is a wonderful time to see it. Hidden away in a deep tree-lined gorge to the south of Crummock Water, the fall is a spectacular site and stand at 172 ft tall. The main drop which can be reached by a bit of a scramble over rocks at the entrance of the ravine and is 52m (57 yards) high. From the Buttermere car park, a walk to Scale Force is around 2.5 miles there and back, and would require around two hours of your time. If you’d like to extend the walk, there is the option of walking up Scale Knott, Mellbreak and Mellbreak North. Beware that the top of these fell can be rather boggy so make sure to have a good pair of walking boots if you are attempting the walk. A break in one of the best hotels in the Lake District could be just what’s needed to prepare you for the hectic weeks ahead. If you are planning on visiting the Northern Lake District this December, here are a few things to keep in mind. Having a car is very useful in the Lakes but many of the area is easily explored by bus, boat, bike or boot. There might be limited schedules during the winter months so make sure that you check the correct schedules. There are many factors to consider if you intend on doing the Walk of the Month or another walk. We do not advise that you go out on the fells if the weather is unsuitable; without the proper equipment, or if you are feeling unwell. The day length is shorter during December in the Lake District so bear this is mind in terms of timing if you’re out walking and carry a torch if you will be out after 4 pm. Pack appropriately – there is really no telling what the weather is going to be like during December in the Lake District. The Cockermouth Tourist Information Office is located at 4 Old Kings Arms Lane. Cockermouth is a town that offers almost everything a visitor might want. Officially classified as one of England’s ‘Gem Towns’, it has a charming nature but does not suffer from the overcrowding that is seen in other Lakeland towns. We hope that something has caught your eye among our suggestions of what to do this November in the Lake District. If you are ready to book your winter break, you can search our full range of accommodation choices – from riverside suites to family rooms – here. Sign up to our newsletter to keep up to date with our latest news and Lake District treats. © Copyright 2019. All rights reserved. Website by Wombat.